Against the odds, could this Android Wear beauty give the Apple Watch a fair fight? Huawei is branching out from making budget smartphones to crafting high-end smartwatches, starting with the seriously stylish Huawei Watch. Although known for its mid-range phones, Huawei has just debuted its own Android Wear smartwatch. Taking to the stage at MWC, Huawei flaunted its first wearable in all its glory. The round-faced tech timepiece will go head-to-head with the likes of the Moto 360 and LG G Watch R when it hits stores. With a 1.4-inch AMOLED display and sapphire glass cover, this will reportedly be the “most vibrant” Android Wear smartwatch on the market. Unlike many smartwatches, the Huawei Watch actually looks like a real watch rather than something futuristic from The Jetsons. With its circular stainless steel uni-body, it will clearly appeal to the fashionistas amongst us. "Many smartwatches look like gadgets, not like watches," Huawei head Richard Yu explained on stage. "We are using classical watch elements like a round design and a crown." But it's not just a pretty face. 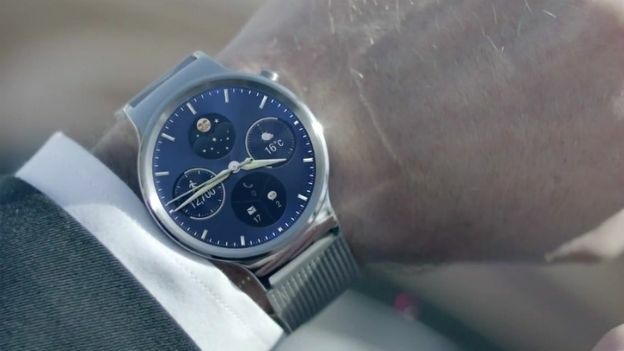 The Huawei Watch packs a six-axis sensor, barometer sensor and built-in mic, with a Qualcomm 1.2GHz processor, 4GB of storage and 512MB of RAM. Not only will it show you calls and message notifications, but it also keeps tabs on your steps taken, distance covered, calories burnt, cycle routes and even sleep cycles.